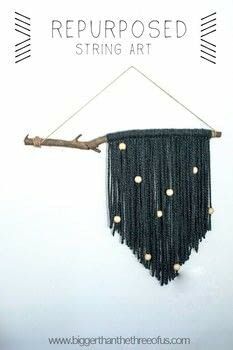 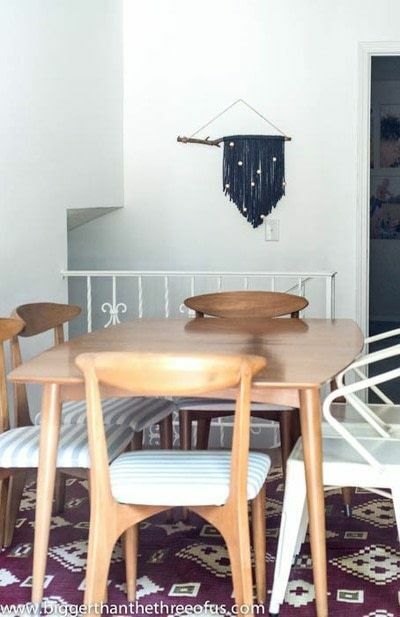 Using yarn and wooden beads you can create an easy wall hanging. Determine how long your string art is going to be. 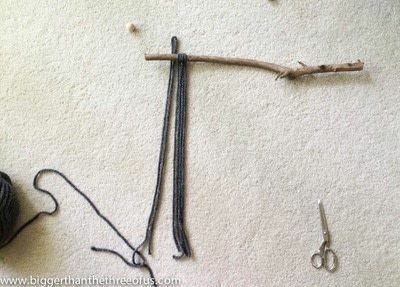 Cut 25-45 pieces of string to get started. Start looping strings around your stick. Pull the other end of the string through the loop to make a simple knot. 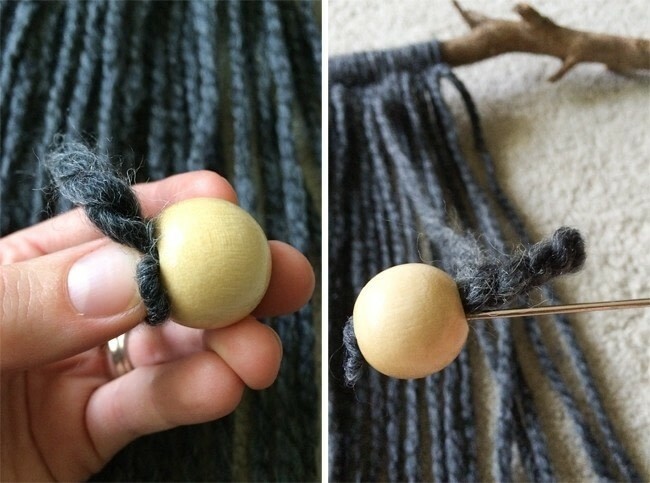 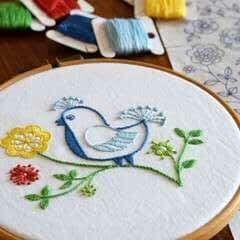 Using your needle, randomly add the wooden beads. 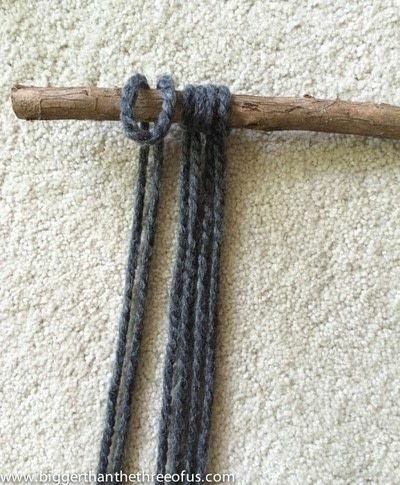 Trim your edges into the "V" shape and tie twine on the stick to hang.